"In" the glove vs touching the glove - Any difference? One at-bat pitching or hitting- Who would it be against? I am a pull line drive hitter with occasional power. Fred Lynn - What a sweet swing. Dustin Pedroia - He never gets cheated. He swings hard and plays hard. He can take a high heater and turn it into a laser over the infield better than anyone. I also love the confidence (with a touch of humorous cockiness) that he plays the game with. I am one of the founders of CheckSwing. I currently coach and play in a 28+ Wood Bat Baseball league. I play 2B, SS, and CF. I also coach my 2 daughters in Fast-Pitch softball. Anyone know what time zone applies to the 10:00 AM start time and midnght Tuesday end time for the Ryan Lavarnway video online catching clinic? Wow, I have no idea how to do this, it should not be this hard. I click on the embed button and it doesn't do anything. I don't see the Media button anywhere, I don't know what the editor is you're referring to. All I want to do is hit "Reply" to a comment, type a comment, and post a YouTube video. I am not computer illiterate. I'm doing this on an iPad, does that matter? I appreciate your help, but I'm so ready to give this up. Thank you for the welcoming. Cant wait to enjoy all the great resources in the game of Baseball. beautiful daughters and I had to make the switch to fast pitch. Been coaching for 26 yrs. Good luck with your season and with your daughters teams. I am honored to be a part of this group. Thank you for the warm welcome! I am happy to be here and look forward to meeting new people and having great discussions. Have a great day! "When news like this comes across the proverbial "wires"...there's really no way to begin the story other than just state the facts. 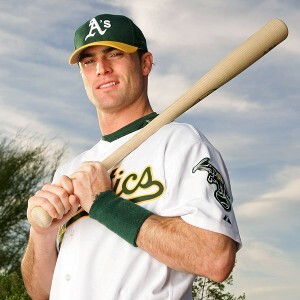 Seattle Mariners outfielder Greg Halman was stabbed to death in the Nethlerlands today. "Follow this link for all of the information; 2018 Summer College Showcase"
"Anyone know what time zone applies to the 10:00 AM start time and midnght Tuesday end time for the Ryan Lavarnway video online catching clinic? Thanks, Ed"